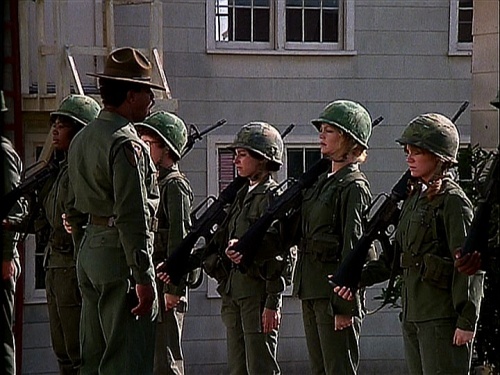 The M16 assault rifle, good enough for Goldie Hawn. Have you ever seen a homemade gun? At the National Army Museum in Chelsea, London, there is a fascinating display of guns made for the IRA. These were not factory produced but cobbled together in sheds and workshops. They are brutal and naïve looking tools, quite unlike the mass-produced weapons familiar to our eyes. They are made by an individual, for the killing of other individuals and are freed from the normalising effect of mass-production. Though I know what an M16 rifle is made for, it is also a design classic. It is the product of science, engineering and marketing. It has the legitimacy of being a product. A tool legitimised by media exposure. The M16 is iconic and familiar and looks right. For someone who grew up in the Cold War on a cinematic diet of exciting propaganda films, it is the weapon of the goodie. It is carried by Goldie Hawn in Private Benjamin. The improvised IRA weapons are cut free from this happy cultural baggage and are starkly visible as killing tools. 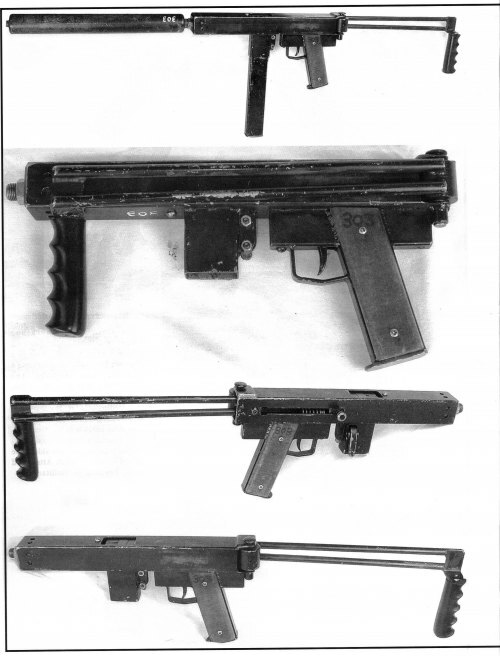 Both the IRA and Loyalists produced ‘home-made’ weapons. This is the ‘Avenger’ submachine gun, made for use by the Loyalists. I love military aircraft, and I’m not quite sure why. Like guns, fighter and bomber aircraft are killing tools, and they tend to be very effective ones too. Like everybody else, I have seen photographs of children’s corpses following airstrikes. I have read about Guernica and the Blitz and Dresden. I’ve heard blood-curdling accounts of the Highway of Death and the long-term effects of depleted uranium A-10 rounds. My grown-up head understands the ugly actions made possible by air power. But I am excited by the sight of fighter aircraft in flight. I love the noise of fighter planes, the shapes of them. I love reading about the technology of fighter aircraft. Stories of how aircraft designers pushed the limits of technology, the innovative thinking, the differences between rival fighters. I like particular aircraft in the way a football fan likes a particular team. I follow aircraft programmes like a fashionista follows a designer’s seasons and collections. When the Indian air force turned down the Eurofighter Typhoon, I was ready to kick a cat. Perhaps there is no contradiction in hating war and loving warplanes. Observer’s Book of Aircraft, Jane’s, Battle of Britain films- all of these fed and nurtured my childish enthusiasm. It is a normal part of British culture. It is normal to like aeroplanes; today air-shows are the second largest outdoor spectator sport in the UK! 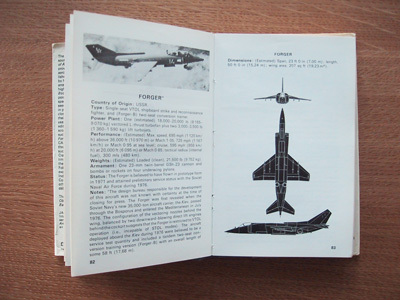 The Observer’s Book of Aircraft reveals the ‘Forger’s art. In film military aircraft are most commonly presented as cartoons, embodying masculine powers, more than any man could. The relationship between pilot and aeroplane is similar to Robin Hood’s relationship with his bow. 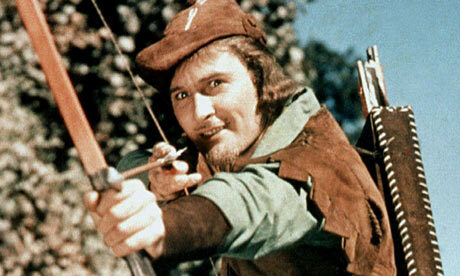 Robin Hood is skilled because he is good and is good because he is skilled. Maverick from Top Gun is the best, his excellence and moral fibre amount to the same thing. His F-14 Tomcat makes him super human. But his superpowers are the result of perseverance and technology. They are a more useful moral lesson than him merely being an alien, born with the ability to fly. Tom Cruise spoke this week about Top Gun 2, which is still in the scriptwriting phase. It is likely that Top Gun 2 will see Maverick return as a test pilot for the Lockheed Martin F-35C Lightning II. The aircraft choice is very significant and telling of changing times. The second time Hushkit has used a picture of Errol Flynn and unlikely to be the last. The first Top Gun featured the F-14, a frontline type that had been operational for twelve years when the film was released in 1986. The enemy in Top Gun is left non-specific, but is clearly a kind of hybrid of Libya and the USSR. The enemy aircraft described as ‘MiGs’ are black and marked with a red star, the symbol of communism. The climax of the film features a dogfight which has echoes of the 1981 Gulf of Sidra incident, where US Navy F-14s shot down two Libyan Su-22 fighter-bombers. 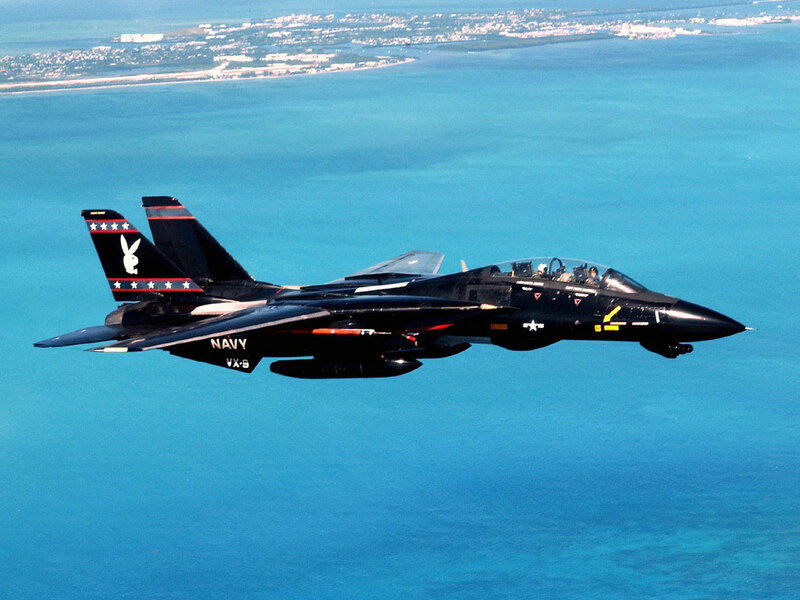 More of a man than any man, the F-14 Tomcat. The film was a gloriously unabashed piece of propaganda. So much so, that when the Top Gun production team asked the US Navy if they would like a recruitment advert to be shown in conjunction with the movie, they said no, as the film was already a recruitment advert in itself. Applications to fly with the US Navy soared after the film. Tellingly, Canadian rock star Bryan Adams, refused to contribute to the soundtrack, as he believed the film glorified war. The choice of aircraft for Top Gun was simple, the F-14 was the biggest, fastest and most capable fighter the Navy had. It was an exciting symbol of US power during the last section of the Cold War. The choice of the F-35 for Top Gun 2 is a very different thing. All fighter aircraft programmes exceed their predicted budgets, but even in this arena, where an extra billion here and there is expected, the F-35’s development costs have been spectacularly awful. The aircraft is nowhere near to being ready to be sent to war. If Top Gun 2 takes another year to enter the production stage, then two years to make, it would be out in 2015. 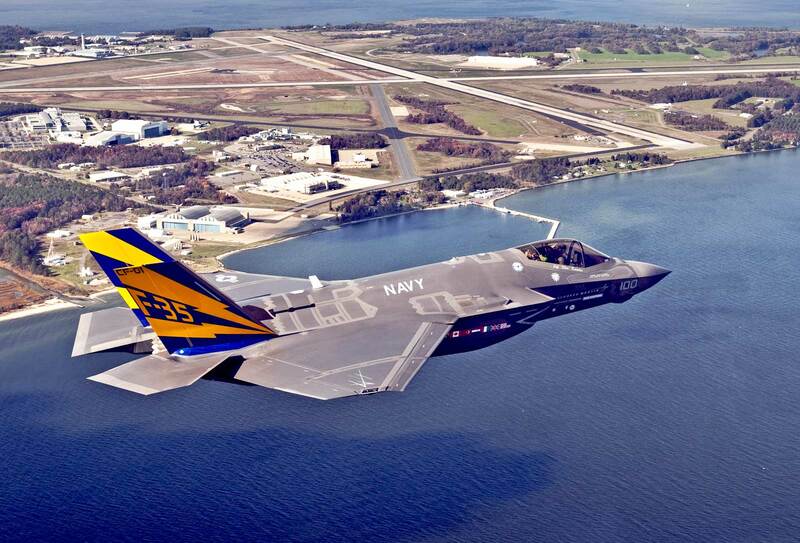 In 2015, the F-35C (the naval variant) will not be combat capable. So in celebrating the F-35, the film will not be sending out a US Navy message like the first Top Gun film, it will be sending out a Lockheed Martin message. It will be validating the trillion dollar Lightning II. Top Gun director Tony Scott committed suicide (by jumping from a bridge in Los Angeles) in August 2012. The F-35C: You’ve lost that loving feeling (for the Military-Industrial complex). There is always a political aspect to ‘casting ‘an aeroplane. 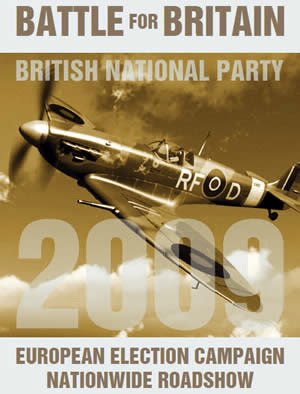 In 2009, the BNP (an extremely right-wing and racist British political party), used the image of a Spitfire in their ‘Battle for Britain’ anti-immigration campaign. 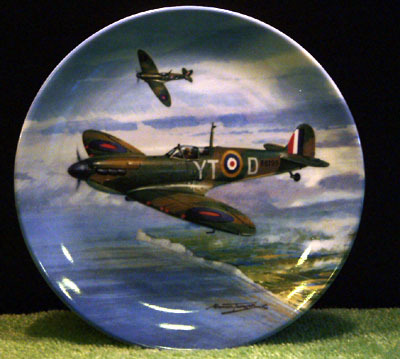 In a wonderful piece of inadvertent comedy, historians noted that the aircraft shown was flown by the celebrated No.303 Squadron– an RAF unit made up of Polish airmen. The BNP accidently celebrating the contribution of Polish servicemen to the defence of Britain in World War II. Politics is not the only consideration in choosing an aircraft for film or advertising use, aesthetics is also of prime importance. However, aesthetics does not live in a cultural vacuum. 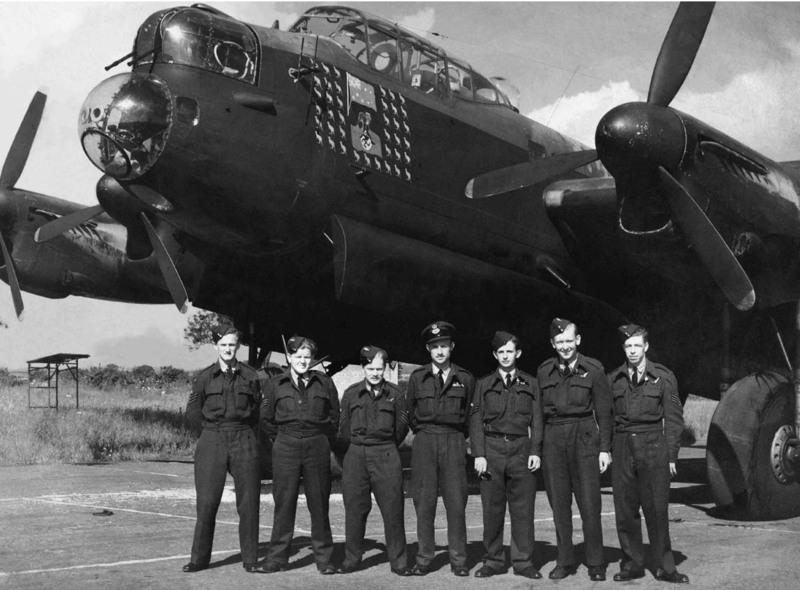 For example, the British Avro Lancaster is seen as looking heroic, as it is perceived (at least by many mainstream British films and books) as having performed heroic work. Seeing the aircraft ‘in the flesh’, in the low-lighting of the RAF Museum Hendon, the Lancaster is an intimidating machine. The Avro Lancaster: A sinister giant coach of death. Sometimes the very menace of an aircraft is part of the appeal. The Lancaster bomber (as aviation journalist Paul Eden pointed out- Lancaster is always suffixed with ‘bomber’, yet you don’t refer to ‘Spitfire fighters’) is an incredible example of this menacing appeal. Though the B-17 is named the Flying Fortress, this name betters suits the Lancaster. As a Boeing product, the B-17 contains many civil design memes, with the result that it looks like a weaponised airliner. An airliner covered in gun-turrets. The Lancaster is much more of a ‘flying fortress’, a sinister giant coach of death. Whereas the B-17 used aerodynamics to get bombs to Berlin, the Lancaster looks like a high-walled bomb suitcase that happened to fly. It is an architectural shape, with all the nasty dark blockiness of the 20th Century forts of Northern Ireland. 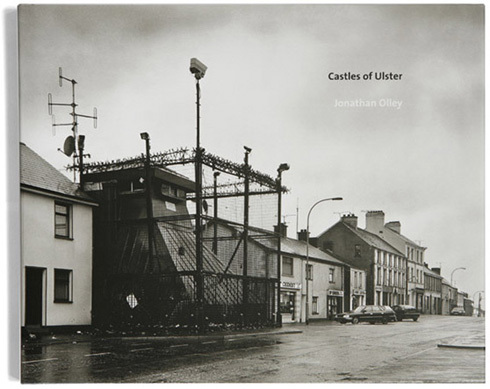 The front cover of Castles of Ulster, a book of photographs by Jonathan Olley showing the fortified police stations, army barracks and watchtowers in Northern Ireland. This cannot be fully appreciated in film or photograph and I would encourage those who doubt me to look at one in a museum. As a child, I took part in CND marches and also delighted in memorising the maximum weapon load of every fighter and bomber. Moral repulsion and aesthetic appreciation often co-exist. The innocence of ‘train-spotting’ is the feeling of safety which arises approaching a subject in a simple way. It is about removing the subject from complicated ambiguity. Train-spotting is not about trains. Maybe the same is true of any mono-mania. As long as this moral vacuum does not cross the line into the actively vocational, it may be a positive thing. Adult and child interests cannot be neatly delineated and I see my fascination with military aircraft as being akin to the feminist who doodles idealised girls. But it is not only as a train-spotter that I like military aircraft. 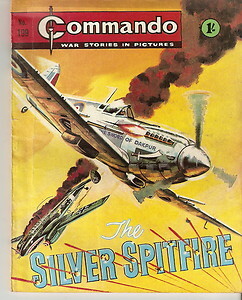 Military aircraft can be represented in many ways, and the demonising of unmanned aircraft in anti-war posters, seems as binary and simple as a Spitfire on a Commando front cover. As objects they are good and they are awful and they are neutral. A noisy, fast, powerful object is exciting- and as a super-stimulus, its power to evoke reaction is great. What I would like is to see fighters represented in more interesting ways, and at the forefront of this are artists like Fiona Banner. These awe-inspiring machines deserve more than quaint paintings in country pubs, jingoistic films and left-brained magazines (though all of these are great in their own way). On second thoughts, I just like them, and I wish that was cooler. I like this post and I feel the same way that you do. War is terrible, but it spawns some really amazing technology. My pacifist side greatly detests the F35 because it costs so much money that should be used for other important, non – military priorities. Compared to the F35, the Gripen is so much cheaper and (mostly) more capable. An air force made up of Gripens could have more planes and still have money left over for important social priorities. All of my sides detest the F35! And now they want to use the F35 to replace the A10, for low and slow support? A billion(?) dollar plane to replace something that is simple, inexpensive, and does the job very well. I have a fascination with the old war planes too. I have never wanted to fly one or fly in one. It is sad to think they were made for one purpose: destruction and death. But still I do admire them, their sleekness or awkwardness, thoughtful or makeshift designs. Some, though nearly 100 years old now, are still flying. As a child I would run to the door to catch a glimpse of a plane overhead. I still do that today. I have no idea why. I feel the same way about warships. I love the amazing lines and all the Nelson-esque derring do. But to be in one when that incoming salvo hits? No thanks. Great article, I allways feel guilty because of my militar airplane’s passion, normaly (in my own expirience) The people who feel the same passion is not sensitive enough to questionate the use of those airplanes, by the other side the people who is sensitive enough hate combat airplanes…so in my case its been some kind of private passion because I dont want to be misunderstood. Sorry my english is very basic…I hope you can get the point.